Gelatin, magnesium stearate, Capsicum annuum (fruit), FD&C Blue No. 1, FD&C Red No. 3, FD&C Red No. 40, FD&C Yellow No. 6, and titanium dioxide. Take one (1) capsule daily, in the morning on an empty stomach before food. Due to the extreme strength of this product DO NOT EXCEED more than one (1) capsule per day. Not intended for use by persons under age 18. Do not exceed recommended dose. Do not take for more than 8 consecutive weeks. This product should not be taken by pregnant or lactating women. Get the consent of a licensed physician before using this product, especially if you are taking medication, have a medical condition, or thinking about becoming pregnant. Keep this product and all supplements out of the reach of children. Be PowerfulGET THEABS YOU WANTSICK AND TIRED OF THE WAIT? 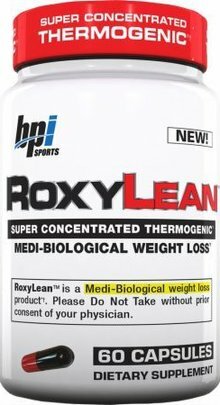 ONE CAPSULE DOSE*From the second RoxyLean kicks in (minutes) it begins to hit you in waves. Each single wave of ENERGY. Wave of FOCUS support. Wave of FAT LOSS support allows you to actually get something accomplished. Whether it's going to work, driving around town, or having one of the best workouts of your life. 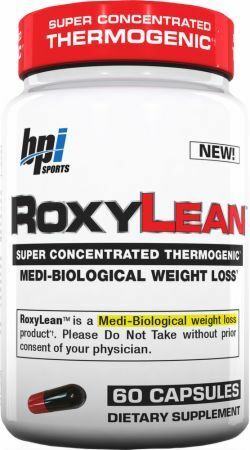 RoxyLean was formulated to promote physical and mental processes.†*REAL RESULTSTHE ONE CAPSULE "FAT BURNING MACHINE"